The dataset details 2016 Budget Recommendations, which is the line-item budget document proposed by the Mayor to the City Council for approval. Budgeted expenditures are identified by department, appropriation account, and funding type: Local, Community Development Block Grant Program (CDBG), and other Grants. “Local” funds refer to those line items that are balanced with locally-generated revenue sources, including but not limited to the Corporate Fund, Water Fund, Midway and O’Hare Airport funds, Vehicle Tax Fund, Library Fund and General Obligation Bond funds. Owner: Budget and Management. Frequency: Data are updated annually. For more information about the budget process, visit the Budget Documents page: http://j.mp/lPotWf. This dataset includes recommended positions and salaries for 2016 by title (without names) and salary. 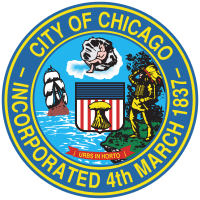 The dataset is excerpted from the 2016 Budget Recommendations, which is the line-item budget proposed by the Mayor to the City Council for approval. Disclaimer: the “Total Budgeted Unit” column displays either A) the number of employees AND vacancies associated with a given position, or B) the number of budgeted units (ie. hours/months) for that position. “Position Control” determines whether Total Budgeted Units column will count employees and vacancies or hours/months. If a Position Control is 1, then employees and vacancies are displayed; if a Position Control is 0, then the total number of hours/months recorded is displayed. Owner: Budget and Management. Frequency: Data are updated annually. For more information about the budget process, visit the Budget Documents page: http://j.mp/lPotWf.